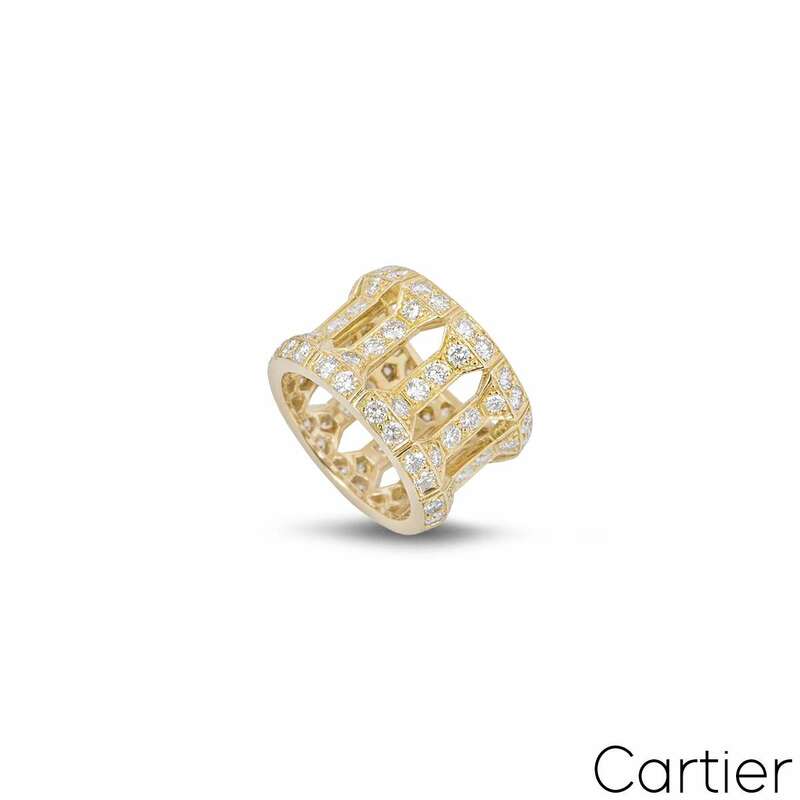 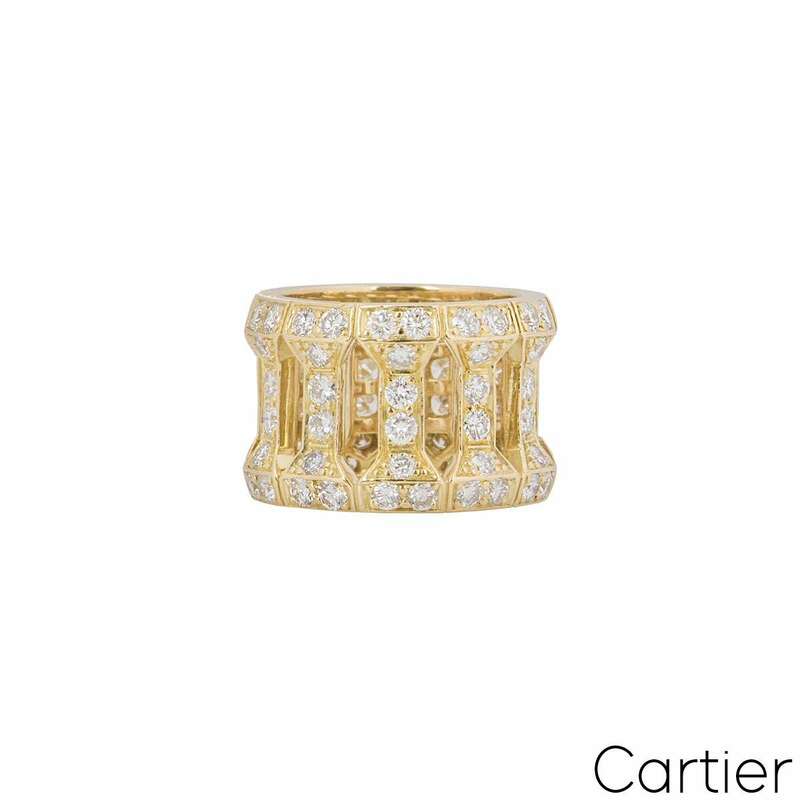 A stunning yellow gold diamond dress ring by Cartier. 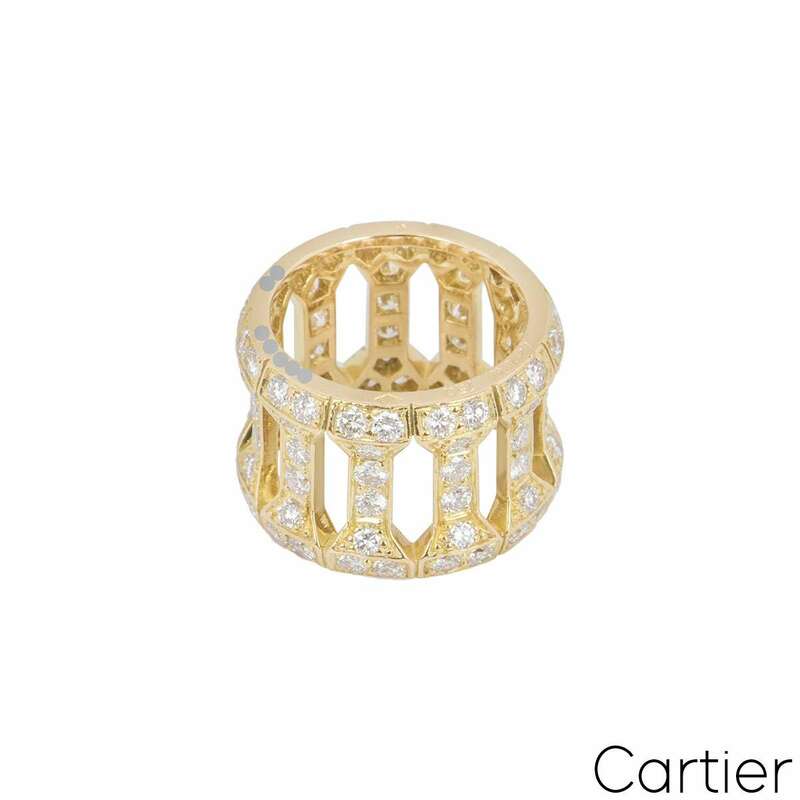 The ring is formed of 11 pillar style links, each set with 8 round brilliant cut diamonds. 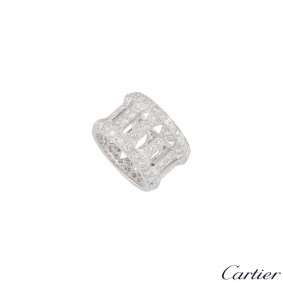 There are 88 diamonds in total with an approximate carat weight of 3.52ct, predominantly G colour and VS clarity. 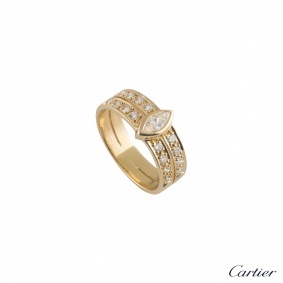 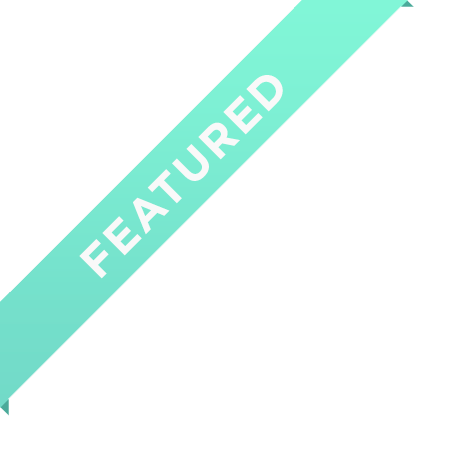 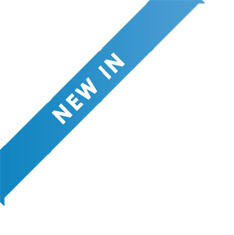 The ring measures 1.3cm in width and has a gross weight of 9.04 grams. 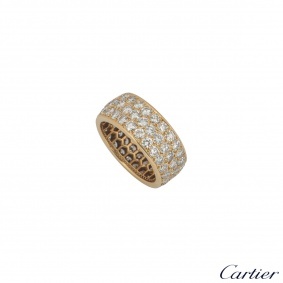 The ring comes complete with a Cartier presentation box and our own certificate of authenticity.